I feel compelled to write to you, I have read this email and feel very annoyed that some in the Muslim Umma. We are spending so much time and effort on looking at the outward works. Yet not fully realised the internal effects of our actions. Why? What good does it do if someone has a different opinion than you. Do you attack him, swear at him, Why, Isn’t this without the mercy of Allah the Almighty do, rather Muslims who are under the mercy of Allah with open eyes. I have friends who are selifi's, Brelvi's, deobandi's and althought I completely disagree with their opinions, I don’t curse them. Why should I? You see if you are comfortable in your religion then you don’t attack anyone, you don’t need to. Some people believe so much in what they are doing they wont listen. A Selefi friend of mine tried to convince me about certain issues about them, I looked at him as he talked and I knew that everything he said was a lie. But I didn’t curse him, he could see I was angry at him. Yet Allah controlled my anger and after this fifty minute one way 'conversation', he asked me if I had changed his mind. My reply was 'no'. Sometimes when I catch the train I hear and see the computerized announcement come up as contrary to where I am. It says 'You are in ....' but I know from experience and by using my eyes, where I am. I left my friend with a Salam, he was very annoyed with me, for not agreeing with his point of view. Did it always be like this? No, it didn't, during the period of the Abbassids, there was a great era of translation. New ideas from the Greeks and others, where investigated. This idea of embracing works and building on knowledge had never been done before. They just where open to things and if they didn't like anything they left it. So that’s what people who don’t like or agree what others do, leave it, don’t say anything. Or have we forgotten the Sunna of the best of creation Muhammad (peace and blessing be upon him). To clarify nobody worships anything other than Allah the Almighty and nothing is worthy of worship except him. We have so many more important issues to deal with like the lack of understanding Islam by first of all the Muslims themselves, Education in general. If all people like you did was Da'wa you would be an amazing group. Its not reality is it. And one final point may Allah Subhanu wa Ta’ala fill you and our hearts with the truth and help to remain steadfast on this Deen of Haqq, Ameen. Realise if we don’t stop this we will destory Islam from the inside and have no one but ourselves to blame. 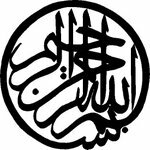 The purpose of this blog to add notes of talks given by scholars. Which will give insight to what to the scholars words.